Dublin, Republic of Ireland, 2017-Jun-23 — /Travel PR News/ — Ryanair, Europe’s No.1 airline, today (20 Jun) announced the purchase of 10 more Boeing 737 Max 200 “Gamechanger” aircraft, 5 of which will deliver in the first half of 2019, with the second 5 delivering in the first half of 2020. 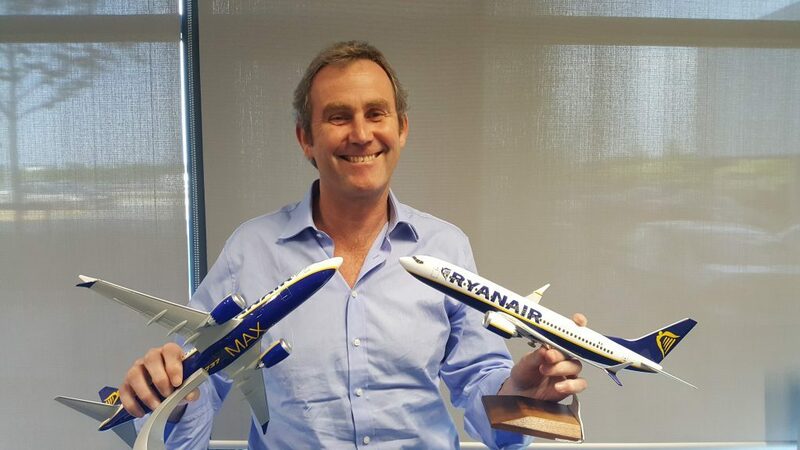 This new order, which is valued at more than $1.1 billion at current list prices, will, together with the existing firm order for 100 Max 200s (and 100 options), allow Ryanair to grow its traffic to 200m customers p.a. by 2024. Ryanair’s operates an all-Boeing fleet, the youngest in Europe, with an average age of six and a half years, and took delivery of its 450th Boeing aircraft in March 2017. These new Max “Gamechanger” aircraft will reduce fuel consumption by up to 16% and reduce noise emissions by 40%, while offering 4% more seats per flights (197 v 189) allowing Ryanair to lower fares even further, while ensuring that Ryanair remains Europe’s greenest and cleanest airline. Press Office, please email press@ryanair.com. This entry was posted in Airlines, Airports, Transportation, Travel and tagged Boeing 737 Max 200, Ihssane Mounir, Mick Hickey, Ryanair. Bookmark the permalink.